Wuxi Zhufeng Fine Chemical Co., Ltd was set up in 2004, the company specializes in manufacturing bactericides and flame retardant synergist and cosmetic preservative. We manufacture 2,3-dimethyl-2,3-diphenylbutane, Sodium Pyrithione, Ethylhexylglycerin and 1,2-Octanediol with good quality and competitive price and also we have some of these products REACH registered. 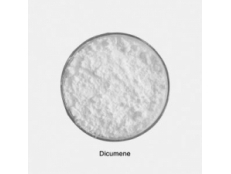 Wuxi Zhufeng Fine Chemical Co., Ltd specializes in manufacturing bactericides and flame retardant synergist and cosmetic preservative including 2,3-Dimethyl-2,3-Diphenylbutane.